Late Shaker Heights High School graduate David Mark Berger was one of the Munich 11, a group of Israeli athletes killed during a terrorist attack at the 1972 Munich Olympic Games. Late Shaker Heights High School graduate David Mark Berger, right, spent part of his time helping young, physically disabled individuals in Israel. He made aliyah after the 1969 Maccabiah Games. Dr. Ben Berger, center, attended granddaughter Dalit Gulak’s wedding on June 9, 2012, when she married Brad Wolfe. Two of the Munich 11 and members of the 1972 Israeli National Olympic Team Yosef Romano, right, and Shaker Heights native David Mark Berger, left, sit and play board games. David Mark Berger would have been 68 years old this year. Instead, the Shaker Heights native was killed at age 28 during a terrorist attack 40 years ago at the 1972 Olympic games in Munich. Berger was part of the Munich 11, a group of athletes on the Israeli National Olympic Team who were killed by the Palestinian terrorist group Black September. To Clevelanders, Berger was and is more than just one of the Munich 11. He was a son, a brother, a congregant of Anshe Chesed Fairmount Temple in Beachwood, a Shaker Heights High School alum and a weightlifter. “Weightlifting to (David), that was his No. 1 priority,” said Dr. Ben Berger, David’s father and a former Shaker Heights resident, as he reflected on his family’s time in Cleveland 40 years after the Munich tragedy. Berger and his wife Dorothy, who died in October 2010, raised children David, Fred and Barbara on Fairmount Boulevard. Now 95, Berger lives in Portland, Maine, in the same complex as daughter Barbara, 62, while son Fred, 65, settled in Fort Lauderdale, Florida. David made aliyah after the 1969 Maccabiah Games and was a dual citizen of Israel and the United States. David was a National Merit Scholar Finalist and after graduating from Tulane University in New Orleans, earned two degrees from Columbia University in New York City – a master’s in business administration and a doctorate of law. Berger, who practiced medicine in Cleveland for 63 years, was 55 when David went to the Olympics. 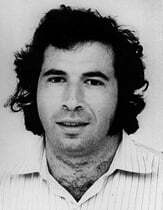 When the abduction happened on September 5, 1972, Berger didn’t receive news until breakfast the next morning. Berger said his family always clung to the hope that David would be free. David’s siblings Fred and Barbara were camping in Austria when the attack happened. The morning after, Barbara heard a radio broadcast in English, announcing that 11 members of the Israeli national team had been killed, but no names were mentioned. After a three-hour drive to the U.S. embassy in Salzburg, Barbara, then 22, and Fred, then 25, were filled in and journeyed back to Cleveland to bury their brother. They arrived in New York late and missed their flight back to Cleveland. President Richard Nixon called Ben Berger, asking if there was anything he could do to help. Nixon sent a plane to pick up Berger’s children and bring them home. Forty years later, Barbara reflected on the harsh reality of the whole situation. Barbara remembers David for his sense of humor. Berger remembers David for his ideals. These Israeli Olympic Team members were killed in 1972 by the Palestinian terrorist group Black September.